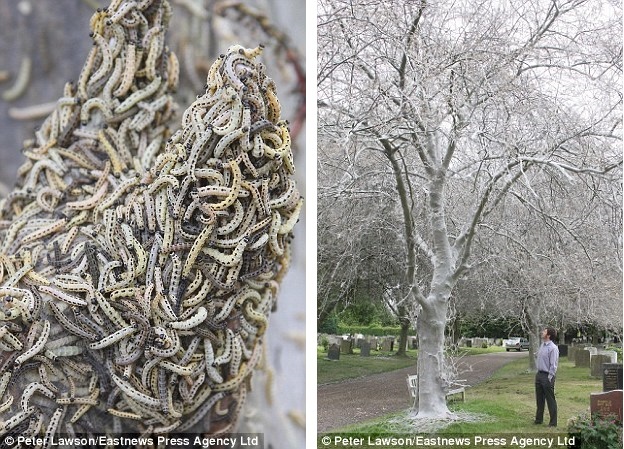 This is a creepy nature phenomenon: Spooky caterpillar crawl along dozens of gravestones, benches and trees, transforming an Essex cemetery into a fairy tale or horror movie scene. Scroll down for the video! 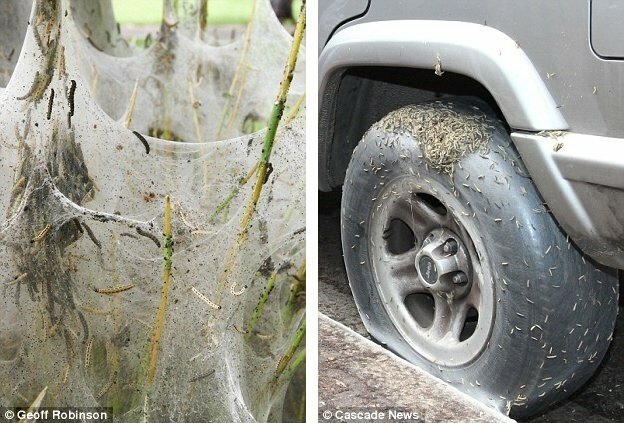 These caterpillars are called bird cherry Ermine moth caterpillars. 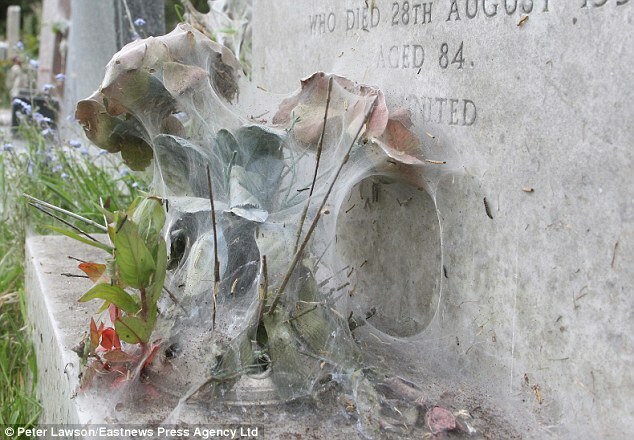 They created web-like nests and left the graveyard with a ghostly white appearance. 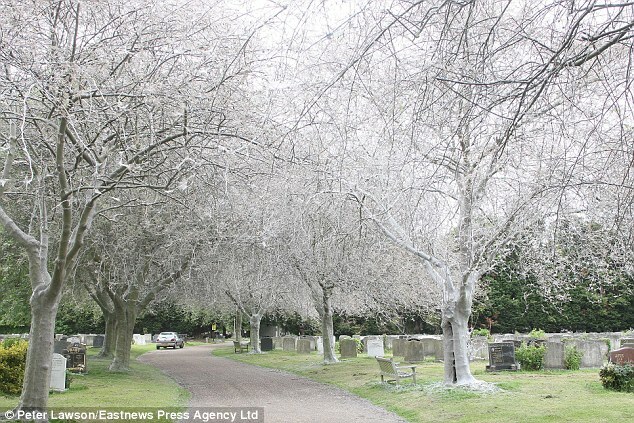 Look at the thin strands of their silken threads on the trees! 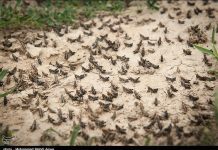 In their caterpillar stage, the bugs, known as web worms, weave leaves of trees together. They can be found across Europe as well as in northern and eastern Asia. 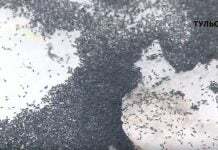 Ranging in size from 0.6 to 1in, they live on bird cherry trees and make an extensive web-like nest. They can eat an entire tree bare although many trees survive with reduced growth in the following growth seasons. 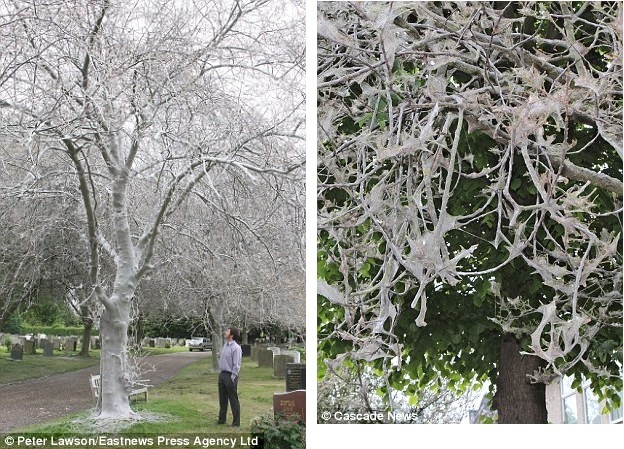 In 2011, 20 matures trees disappeared under a web of white silk in Birmingham when they experienced an infestation. But there is something quite beautiful too in the way they create the ghostly white webs that hang from the trees. It would be the perfect setting for a scene from a Tim Burton’s movie. 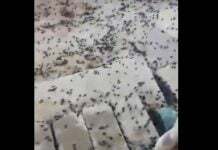 The invasion is not the only of its kind seen this month as a plague of the same bugs has covered pavements, walls and cars in Hampton, south-west London last week as shown in the picture above.